Hello and welcome to New Fantasy Premier League Transfers 2018/19 Richarlison and James Maddison. We continue our look at new Premier League transfers by focusing on two promising mid-priced attacking midfielders, namely Everton’s Richarlison and Leicester’s James Maddison. Richarlison you will likely remember from his time at Watford last season while you may not know so much about James Maddison unless you followed the Championship. Both midfielders are priced at 6.5mln and would appear to offer good value for money. They both also have the advantage of starting the season at their new clubs with decent looking fixtures. Many of us hold fond memories of early season Richarlison from last term. Having been recruited by Marco Silva at Watford, the Brazilian scored five goals and assisted four in his first 12 starts. However, his form slumped and he failed to score again as Watford were disrupted by Everton’s ‘chase’ of Silva as their manager. The two have now been reacquainted as both look to make Goodison Park a more permanent home than Vicarage Road ever was. £40mln may seem a lot for a player whose form dropped so dramatically last season but the market is what it is and Silva clearly has a lot of faith in Richarlison and will clearly be under pressure to again get the best out of him as Everton begin the season with an attractive looking run of fixtures. Adept with both feet, decent in the air and owning pace and trickery Richarlison has much going for him – he was the most fouled player in the Premier League last season and only Mo Salah, Harry Kane and Christian Eriksen had more attempts than him, though FPL owners will want to see an improvement in his finishing. 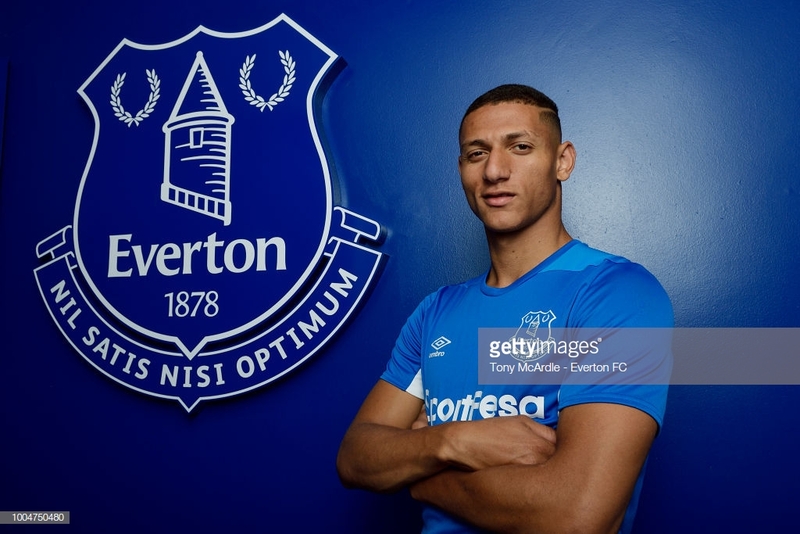 With Everton’s fixture list and a FPL price tag of 6.5mln, it would appear that Richarlison should be a strong contender for your squad. Despite Silva talking about the strength of the squad providing competition for places it’s worth noting that Silva never rotated Richarlison at Watford. If he can settle in quickly and can find wherever he left his shooting boots he could be FPL gold. James Maddison joined the Foxes from Norwich in a deal worth around £24mln in June. 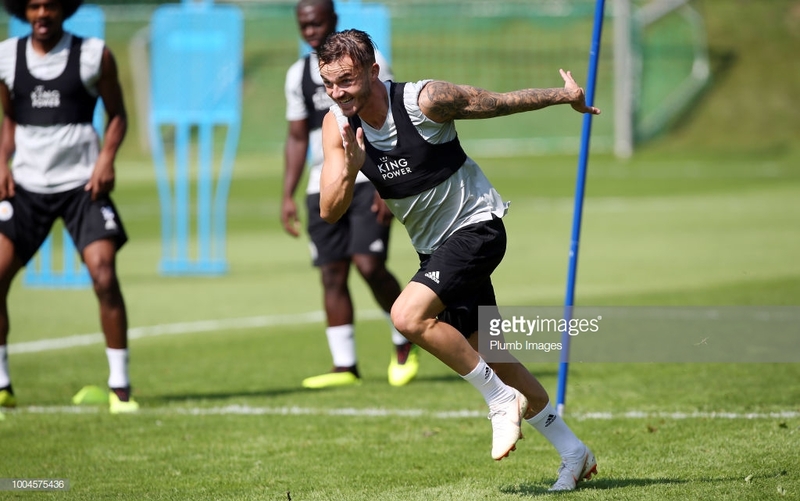 Claude Puel very much sees Maddison as the replacement for Riyad Mahrez and while those may be big boots to fill, the signs are that Maddison has what it takes to prove a success for Leicester and also a very interesting mid-priced midfielder for FPL managers. Priced at 6.5mln by FPL, Maddison has flown some what under the radar – while much of the attention has been on similarly priced midfielders such as Richarlison, Jota, Sessegnon and Milivojevic, Maddison has ownership of just 0.6% of teams (at time of writing) and has hit the ground running in a Foxes shirt. Maddison played for an hour vs Notts County and looked immediately at ease in the no.10 role that Puel very much values in his possession based system. The manager’s desire to keep the ball relies on the playmaker who can find space, wants to get on the ball as much as possible and then split defences open with forward passes. Sounds like Jamie Vardy’s ideal team-mate! Maddison will also find himself on most set pieces, certainly free kicks and corners, though Vardy is expected to remain first-choice penalty taker. Puel describes his new recruit as ‘one of the most exciting attacking talents in English football’ and is delighted that Leicester were able to hold off interest from Southampton, who also had a bid accepted for Maddison. In fact there was specualtion as early as January that Spurs were ready to make a bid. The midfielder scored 14 goals and recorded 8 assists last season for a Norwich side that finished in a disappointing 14th place. Time will tell if Maddison can make the next step up and perform in the top flight but the 21 year old will certainly be given every chance and much of the play will go through him. Leicester’s fixtures are generally pretty good which should help Maddison find his feet. On that regard he is certainly someone on my watchlist and I’ll be keeping a closer eye on the remainder of Leicester’s pre-season friendlies to see how Maddison progresses. It’s been a busy summer already with Arsenal, Everton, West Ham and Chelsea appointing new managers, Manchester City adding to their already dominant squad, Man Utd continuing to splash the cash and Liverpool trying to protect Karius by beefing up their midfield. Spurs may even have a new home soon. And FPL wise, this is the place to discuss strategy, learn about the promoted teams and their players while in the days and weeks to come we’ll have plenty of articles, interviews, player analysis, Bore Offs, Tips, etc, etc. So be sure to get involved in the discussions, the RMTs and the banter as we look forward to another season of Fantasy fun! I’ll not bore you with the ‘Salah’ issue, you know the risks and they’re yours to take! On the players you do have, I think that if you are going without Salah then a £4.5 mid has no place on your first 11, especially given that he amassed just 1pt last season! At the back I’d lose Danilo, he probably won’t be a regular and you have Ederson, it will also limit your ability to get in a second City attacker should you choose to do so. I’d keep an eye on Liverpool as it’s likely Lovren won’t start GW1. If Lukaku plays then I don’t mind him but think it’s overkill to have him and Sanchez, I’d rather have Kun or Aubameyang at that price. Thanks Rosco77. Some good feedback. Danilo/Ederson – agreed (I had overlooked this). Lovren is indeed one to keep an eye on. Lukaku will depend on being available GW1; I am not happy with Kun due to his rotation risk with Jesus and it is a wait and see whether Auba is nailed on or will rotate with Lacazette. Kaikai is a risk, but is currently CRY top goalscorer pre-season (appreciate that it isn’t an accurate guage for FPL). Still more tinckering needed …. Was wondering what do you guys think about getting West Ham’s Fabián Balbuena. Decent goal threat and very reasonably priced. Will he start though? Who knows on that one. Diop was a much bigger purchase in terms of transfer fee, that really shouldn’t have a bearing on it, but it probably does if someone is not clear cut looking better. Apparently Balbuena did very good last game, but that’s still pre-season and we have no idea how he is looking in practice. They have several CBs on that team and any of them could start. Guess is that it is between Ogbanna, Diop and Balbuena. But they have terrible fixtures and possible bad performances in said fixtures could lead Pelligrini to experiment and make changes to try and figure out which duo works better. Long story short, you be taking a chance by counting on his minutes. Hey y’all. Long time lurker, first time poster, love to hear some opinions on my first draft :). Forgot to mention, largest concern (outside anything I’ve missed) is the lack of Chelsea/Arsenal. If Hazard/Willian go I’d probably try work Pedro in. I think it’s relatively ok to sit back and monitor both sides – a new dawn and all that. Arsenal’s fixtures get good very soon if they’re looking ok. Chelsea’s opening five games aren’t bad at all. If say Willian does up sticks then Pedro does become very appealing (though possibly risky because of the the new way they’ll be playing, etc). Luiz is the only player I currently have in from either side, and he’s covering for a Man U defender. @Yeet, my concern would be how many you field in GW1 and even if they do play they could be more likely to come off the bench. I believe KdB’s agent said he will be back with the team next Monday and will not play vs Chelsea next week in the Community Shield. I don’t know enough about Sims, don’t think he plays much, so unless something has changed this season that is spot you would want a definite starter in particular if you are going to take chances on players who might not start in the rest of your team. Stones is back with the team, but you still have to monitor Pep’s words on him. Lovren could also be a problem for GW1, I believe Cedric joined up yesterday, hopefully he plays next pre-season game. Shaw still at 75% but played against Real Madrid yesterday! I’ve still got green jersey Ederson…do you have to pay another 0.5 for the orange kit? It’s thing of beauty – think Oompa Loompa OD’d on Fanta. Hehe, I’ve still got 1m ITB for the inevitable Sane -> KDB transfer . Wtf?! Still green for me… FPL discrimination for us on the wrong side of the pond? That’s it, have to have him now! Shaw looked fine moving around on them cankles of his. Just checked on Shaw – back to 100% ; he remains in my team. I’m starting to dither a bit now with the Man U defence. Is anyone nailed? I had Shaw, moved him to Bailly, have shuffled over to Luiz for the time being. I want a Man U defender in my team but haven’t the foggiest who to pick.